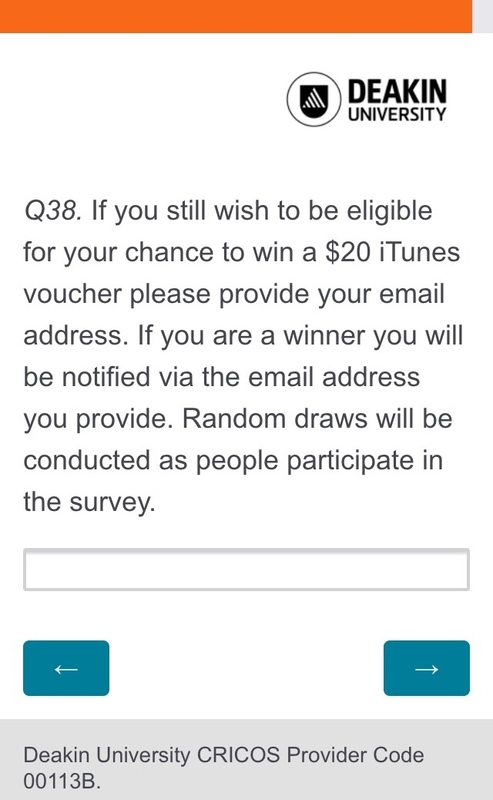 Edit: On completion of the survey, the chance to win a $60 iTunes voucher is now being advertised. A random participant will be drawn for every 10 participants who chose to be a part of the random draw, hence providing a 1 in 10 chance of receiving a $20 iTunes voucher. 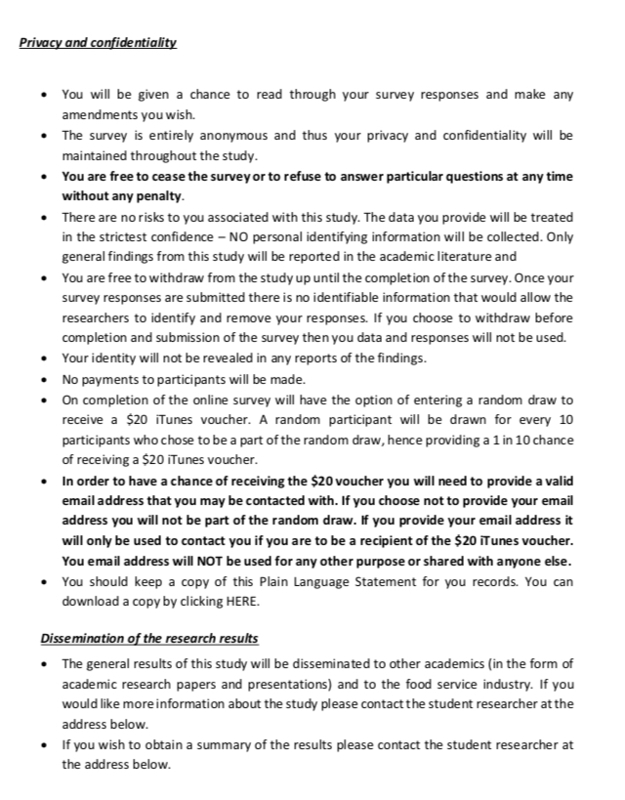 Complete the survey for a 1 in 10 chance of winning a $20 iTunes voucher. Topic: What makes a memorable dining experience? Length of survey is dependent on the number of questions you wish to answer, as most are optional.